It already feels like we've had a whole bike season in 2018, but there's still plenty going on to get out and see in August. Here's a list of events to get yourself to this month and do just that. Get your tickets for September's Devitt MCN Ally Pally Show & Supersprint now! 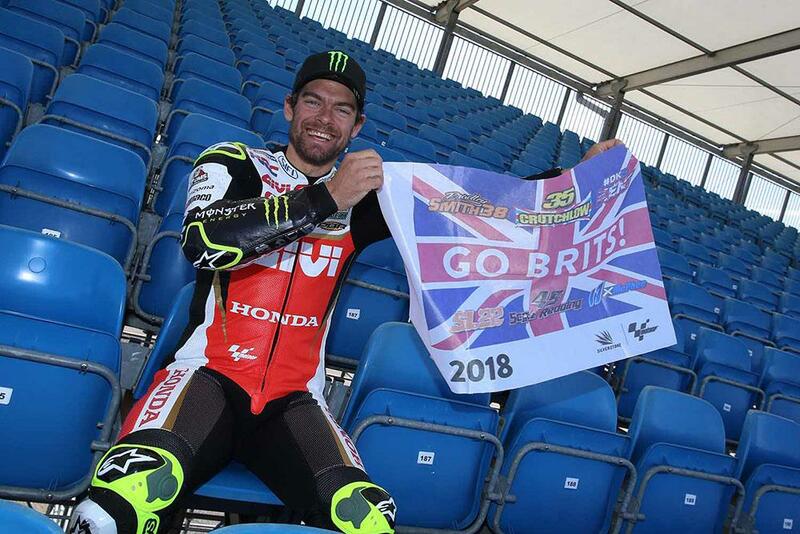 Tickets are still available at the gate for three days jam-packed with races and hundreds of bikes as well as Grand Prix displays and demonstrations alongside special guests such as Steve Parrish, out and about for autographs and pictures. 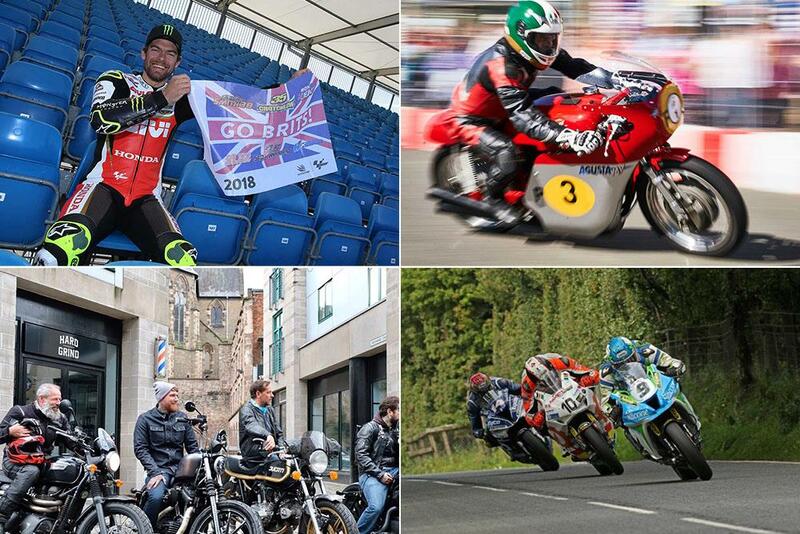 A celebration of biking rather than a show, all kinds of bikes are highly welcome at Llanbikefest with special guests such as John McGuinness, BSB champion John Reynolds and British Supersport winner Steve Plater in attendance. There's also trade stands, exhibitions and live music. Create a life-long memory, meet incredible people and gain an unforgettable experience along some of Britain’s finest roads whilst helping the Alder Hey Children’s Charity by taking part or donating to the Barbersride event. Dealership events are available following each riding day and some of the most skilled barbers presenting their skills for all to see. This spectacular road race claims to be the fastest in the world and takes place on closed public roads in Northern Ireland. The event is steeped in history having started in 1922 and previous winners include Mike Hailwood, Giacomo Agostini, Ray McCullough and Joey Dunlop. The MCE Ulster Grand Prix. There's nothing quite like it. Unlimited runs and a personal performance print-out at the end of a day. Compete against a spectrum of racers from beginners to professionals at Run What Ya Brung, which hosts some of Europe’s fastest cars and bikes. An all new for 2018 two-day event. Expect world-class athletes from a diverse range of sporting disciplines under the banner of Action Sports, whilst leading acts from the music scene will perform and entertain on the Live Music stage. For motocross fans, the inaugural Supercross UK Open will take place on the Saturday with top-level riders from the UK going flat out in bar-bashing battle. World MXGP contenders Tommy Searle and Steven Clarke will line up against Arenacross UK regulars Jack Brunell, Jordan Booker and Matt and Chris Bayliss and can be relied upon to give it their all to take the win. 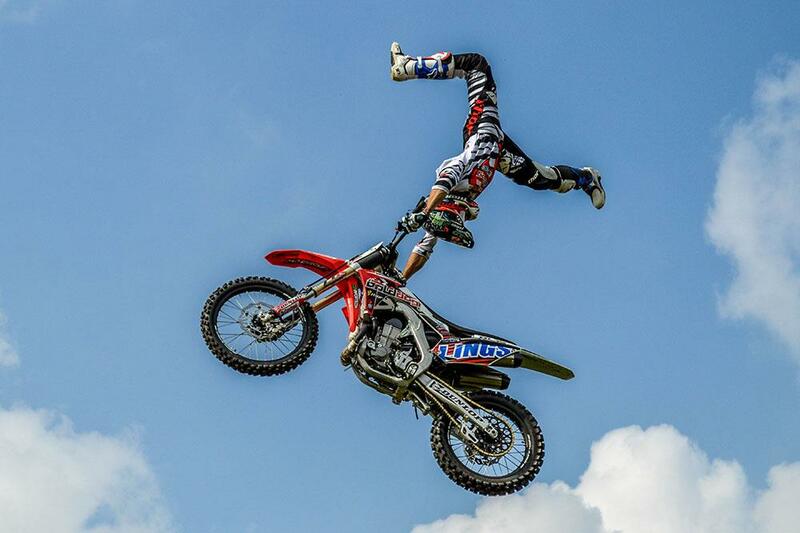 Elsewhere in the Showground, the highly-skilled Freestyle MX Bolddog trio of Dan Whitby, Samson Eaton and Arran Powley will take to the air and give the crowd something to shout about as they flip and whip their way through their insane tricks. Multi world trials champ and Scottish Six-Days Trial conqueror Dougie Lampkin will be in action too. Riders Bristol will be giving out free Z54K Back Protectors with purchases of Spidi jackets. The Spidi Sports Bike Saturday will also see Riders' very own BSB, NW200 and IOMTT star Martin Jessopp in store between 10am and 2pm with his Riders Race Truck and Race Bike which will be started up on the day. There will be a prize draw to win BSB tickets as well as great offers across many brands in store, or you could take a new Ducati out for a no obligation demo. 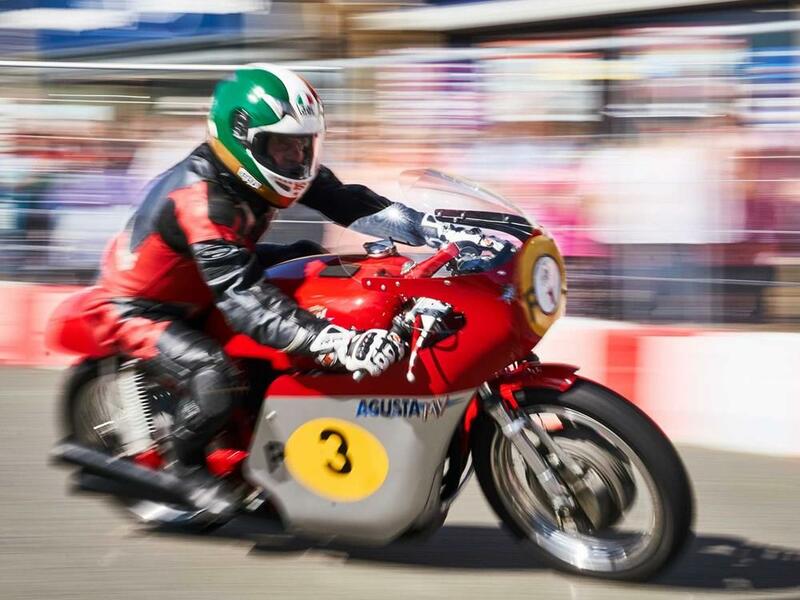 Visit this vastly popular Brackley Festival of Motorcycling which takes place in a picturesque Northamptonshire town. There's lots to keep you entertained throughout the whole day, including a parade, funfair, manufacturer exhibits and plenty of food and drink stalls. On top of all that there's a wall of death and an installation from the National Motorcycle Museum. Triumph are also running their annual ride in to the event in aid of Air Ambulance. The entry price of £13.50 for a single rider or £35 for rider and pillion (£20 and £40 on the day) includes entry to the festival and allows you to take part in a group ride from the Triumph factory in Hinckley down to the event. An independent non-profit event to host bikers in Bristol city centre with plenty of trade stands, club displays and motorcycle organisations. If you want to show your bike there's no need to book, just get there before 10am. The show also features live bands throughout the day. Join thousands of fans from far and wide in thrilling races in the biggest round of the championship. Watch bikes ‘flying’ off The Mountain and get close to all the action on the twisting circuit. The stars of MotoGP are making their way to English soil. Set a weekend aside to catch a fleeting glimpse of your favourite racers, alongside Moto2 and Moto3 to create an action packed weekend. Ride along in the annual Harley-Davidson bike rally through the Scottish Highlands. There will be Harley displays, rallies and live music along with many charity events and opportunities to test multiple bikes. The event tends to be aimed towards Harley riders, but all bikes are welcome. See Huddersfield brought to life in the action-packed day of stunt shows, live music and trade stands in the first TAG Speed show, a new event in the area. In a frenzy of off roading, the UK’s biggest endurance race moves into its 17th year and continues to expand. The event which tests out riders across a track of numerous terrains from woodland to water, narrow tracks to open gravel is growing every year and is well worth checking out. Enjoy stories from the life and time of former racer turned pundit, Steve 'Stavros' Parrish in a funny and informative evening. Find out why he is banned from Macau as well as other colourful and eye-opening tales. For over 200 classic motorbikes, pre-war, post-war, American classics, hot rods and custom cars, the annual Tewkesbury Classic Vehicle Festival is for you. This event marvels closely on the engineering aspect of these classics with a heap of famous vehicles on site also. The festival runs all day on Sunday, August 19, from 11am. For more information visit, http://tewkesburycvf.org/. For more events pick-up MCN every Wednesday for a bike meet or two near you. If you would like your event published in MCN, email sam.williams@motorcyclenews.com or to get a mention on www.motorcyclenews.com email, ben.clarke@motorcyclenews.com.